The XCD-SX910 and XCE-X710 cameras are the latest additions to Sony's iEEE 1394 digital camera family.Both cameras employ a progressive scan CCD with square pixels,making them ideal for a variety of industrial applications. 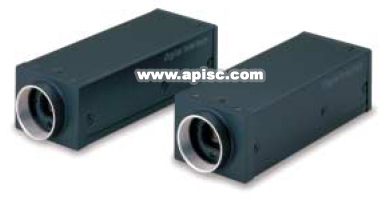 The XCD-SX910 incorporates a 1/2 type 1,145,000 pixels CCD and offers SXGA resolution images,while the XCE-X710,the XGA version of the XCD-SX910,incorporates a 1/3 type 800,000 pixels CCD. Both models incorporate an external trigger function,allowing for fast moving objects to be clearly captured or still images in low light environments.A variety of convenient features such as partial scan (16x16 zones) and selectable output modes (frame rate/bit depth) make these cameras extremely flexible.With their high frame rates,compact and robust design,the XCD-SX910 and the XCE-X710 cameras are the right choice for quality-critical imaging application such as demanding factory automation,semiconductor inspection and image processing systems.